When used at the 1st Chakra, it brings a deep and comforting love energy that opens and heals the entire emotional body. It can also assist in removing blocks and negativity from the Chakra system at all levels and helps to balance energy flow. When used at the 4th Chakra, it brings our life purpose into all Chakras and into our conscious awareness. It fills the emotional and etheric body and Chakras with light, information, peace, joy and universal love. A great aid for promoting compassion for oneself and others and supports those on a path of service to fellow man. Pink Tourmaline has a Trigonal crystal system and is the mineral class of ring silicate with added oxide. It can be formed magmatically where it grows freely as large and many colored crystals, or, when its surrounding rock has been influenced by gases in the magma that contain boron, it is found very firmly embedded. The pink forms of Tourmaline are also known as Rubilite. The Tourmaline family consists of seven color varieties which have a very stable basic structure. Its coloring is dependent upon the metals present as it grew. While found world wide, some of the nicest shades of this pink variety seem to come from certain areas of India and Brazil. Pink Tourmaline is very effective when worn as a pendant at the Heart Chakra. It may also be laid directly on specific areas of the body. When used for stimulating the Chakras and energy meridians, it should be placed lengthwise, pointing in the same direction as the flow. Pink Tourmaline provides a targeted, but flexible way to check our goals and to correct them if needed. It also seems to provide a stimulation to the Base Chakra that opens a direct pathway between it and the Heart Chakra. Used for this purpose it can enhance and direct our spiritual energies. Pink Tourmaline helps us to be sociable and outgoing. We can not only be ready for action but charming in the process as well. It seems to provide an understanding love which offers tactfulness in social settings. Pink Tourmaline helps us to actively devote ourselves to a specific task. It is a good aid for promoting creativity in several levels of what we aspire to be. 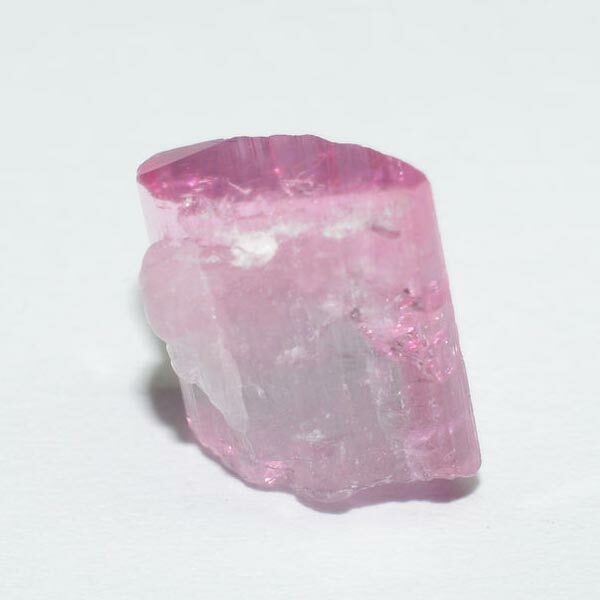 Pink Tourmaline improves the flow of energy and the conductivity of the nerves. It strengthens the functioning of sexual organs and stimulates blood circulation and blood purification in the spleen and liver. It has been used in the treatment of disorders of the heart, lungs, digestive and reproductive systems. Pink Tourmaline has special affinities for those who are Sagittarius, Libra, Leo, Aries and Cancer. It carries a Receptive Energy, its Planet is Venus, and its Element is Water. 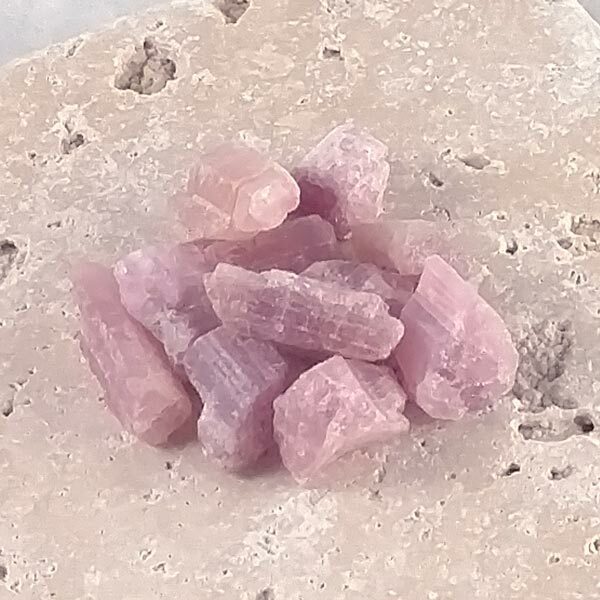 There are some Arabic traditions that speak of Pink Tourmaline as a stone of the sun that was able to strengthen the heart and protect from nightmares. The shades of Pink Tourmaline have been used to put people in touch with past life experiences which aids in understanding their motivations of this lifetime. On the surface, it would seem that this one was rarely used in ancient rituals since vague references could also be referring to Rose Quartz or other gems with the same coloring. It does however seem to be currently used as an aphrodisiac and in love spells by todays magickal practioners.